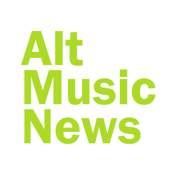 Indie Rock News is a one stop shop for all your indie/alternative rock music news and gossip. 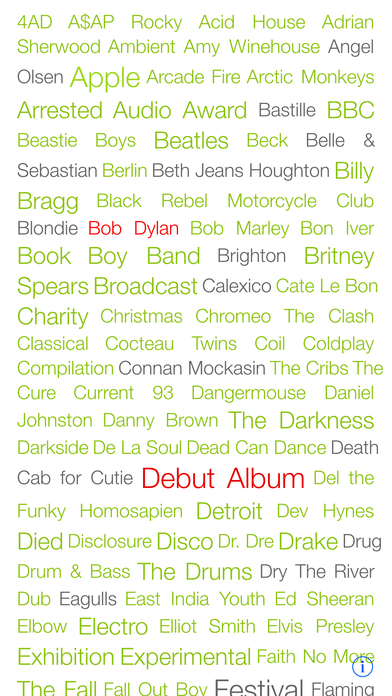 Instead of ploughing your way through a load of RSS feeds, Indie Rock News gives you a tag cloud of whatever is happening. That means a big list of things where the more popular a thing is, the more prominent it is. At a glance you can see who is in the news and what is happening. Wanna see what Animal Collective have just done, or who has a new album out? Just click that particular tag. "Audio" and "Video" show you all the stories with downloads, streams or videos. Most of these can be accessed from inside the app itself. "New Record" lists all the stories about anyone with new release. "Festival" brings you all the latest festival news. 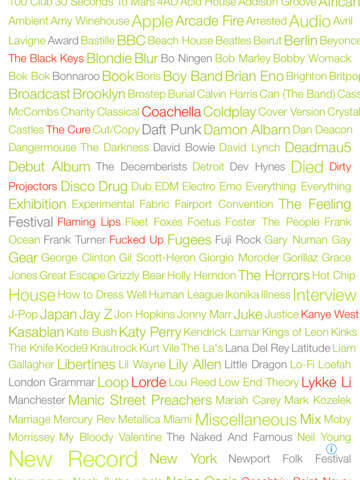 It may be worth clicking the "Read All" button for festivals as it can introduce a lot of false positives. Make your favourite bands more visible by clicking the "Like" button. This hilights them so they stand out more prominently. Tweet a story that you think your mates might like. Lots of similar stories? Click a button to mark them all as read. A tag will appear grey if there are no new stories to read. You can even mark EVERYTHING as read now. To update it at any time, simply give it a shake or choose the option from the pop up menu. The data on the server is only updated every half hour. We gather the headlines from the NME, Quietus, Drowned in Sound, Pitchfork, ResidentAdvisor and Xlr8r for the best of what is happening in the US/UK music scene. The list of new artists is updated daily. 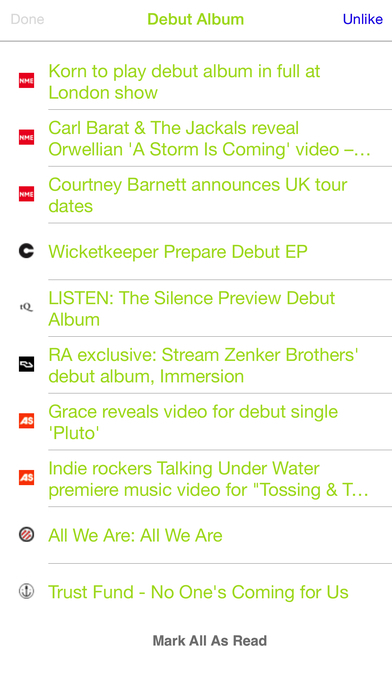 Finally, and most importantly, Indie Rock News is FREE!!!!!! Double finally, if you like this then you might like "Games News" which is the video gaming equivalent.